Robotic Technologies Classes For Kids. 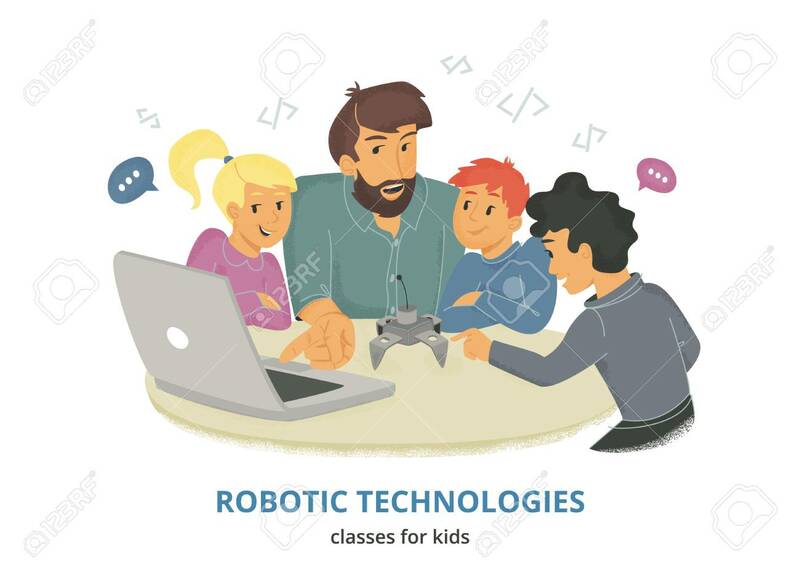 Flat Vector Illustration Of Male Teacher Sitting With Group Of Children At The Table And Explaining How Coding Robots. Kids Looking At Their Coach And Laptop Lizenzfrei Nutzbare Vektorgrafiken, Clip Arts, Illustrationen. Image 111964855.